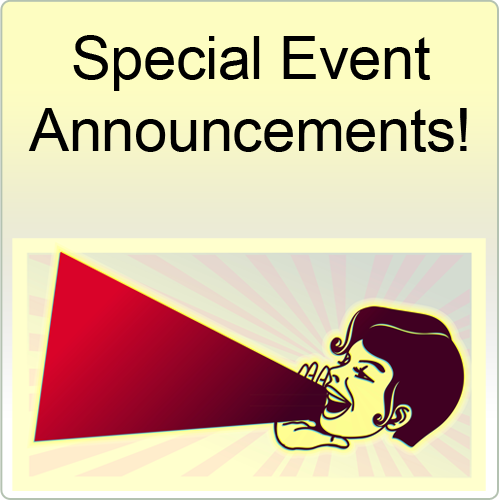 Use this text box to enter all the information you would like to have in your Coming Event announcement. Coming Event announcement ads are approx. 4" wide x 3" tall. Be sure to include phone number(s), email addresses, website URLs, etc. We will provided you with an ad proof prior to print so you can review/change it as needed. Logos can be included (space permitting) and should be uploaded as a jpeg image. The cost is $50 per issue, or 3 issues for $125 – taxes included. Want to reach our online followers too? Choose the optional 'Include Online / Social Media' option.